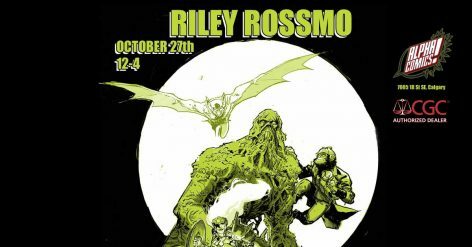 Riley Rossmo will be at Alpha Comics on Saturday October 27th. Be sure to grab his foil cover for Justice League Dark #4, available October 17th. We will have a CGC witness here at the shop to get you the yellow label Signature Series! Stay tuned for pricing on CGC witnessing.